I could say a million things, but mainly it was a wordplay on RIP (Rest In Peace). 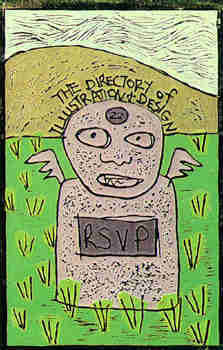 RSVP=RIP : RIP=RSVP. I could see if someone thought it meant art is dead or something along that line, but it is only a coincidence.